The industrial landscape has changed dramatically over the past decade. As a result, advanced technologies are now providing a wealth of information that allows plants to better maintain their equipment and take steps to prevent downtime. New products featuring integrated electrical controls, amplifiers, and/or other embedded devices are introduced almost daily. These innovations make legacy equipment seem antique. In many cases, however, adding them to existing plant systems can enhance the equipment’s function and extend its service life. As an example, the idea of including a particle counter as a permanent installation on a fixed positive-displacement pump—to detect contaminants within the pumped product and warn of potential equipment failure—would have seemed odd just a few years ago. Not these days. With the help of advanced wireless-monitoring systems, site personnel are now able to identify problematic areas within that type of application more quickly than ever. Similar opportunities abound in your plant. The Industrial Sector is clearly reaping the fruits of the Tech Sector in building inexpensive, reliable, integrated circuits with massive processing power. 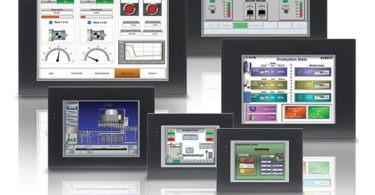 Advancements associated with IEC 61131-3 and programming software such as CODESYS for PLC systems, among others, have empowered manufacturers to easily supply control-package platforms for their products. This has provided end users with high-quality and industry-tested control systems that feature standard programming language. It also has allowed manufacturers to preload controllers with custom function blocks geared to help users easily integrate an entire product line into a system. Having this standardized programming platform enabled with manufacturer-supplied “cookie cutter logic” has allowed broader integration into plant-wide control systems. In light of open-source programming capabilities, today’s control systems are no longer considered to be mysterious black boxes. The ease of control-system development and integration doesn’t simply make adoption of Industrial Internet of Things (IIoT), automation, and plant-wide equipment-monitoring technologies possible. It makes the technologies more understandable and economical. When it comes to upgrading equipment systems, as opposed to replacing them, it’s important to note that the IIoT offers exciting new possibilities for troubleshooting individual components and manufacturing lines. 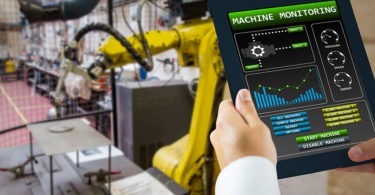 Based on cutting-edge, IIoT-related solutions in the areas of predictive maintenance, data analytics, and machine-to-machine communication, among others, sites can simplify the diagnostics of an ailing machine or line. In other words, they can focus on a specific problem source and make improvements and adjustments to one unit or part of the system without having to make unnecessary and expensive upgrades to the entire production line. Or, they can replace a large part or section to fix the unknown root cause. For example, a power plant was regularly replacing pumps because of cavitation. The maintenance team placed sensors on the pumps and discovered that workers were reducing power to the units in off-shift hours. Rather than repeatedly replace the pumps, the solution was simply to ensure a continuous flow of power. In a steel-works plant, nozzles used in a cooling process were constantly becoming blocked, leading to uneven cooling of steel sheets. Sensors determined the issue was caused by uneven vibration. A simple adjustment solved the problem. In both of these cases, without access to data from sensors connected directly to the systems, plant engineers may have been tempted to seek costlier solutions. Keep in mind that technological advancements often put personnel in the mindset of doting parents. While buying the hottest toy of the year may seem to be a fine strategy during the gift-giving season, the item may not be appropriate for every child. Technology, combined with the IIoT, is industry’s latest toy. Certain operations will like it, use it, and capitalize on the benefits it offers. Others may not be as ready to embrace it. This information was provided by Doug Osborne and Brandon Brownlee of Motion Industries (Mi), headquartered in Birmingham, AL, and Ian Miller, E.I.T., of Motion Canada. For more information, visit MotionIndustries.com, or see Mi’s automation video at https://tinyurl.com/l5huk5t. • incorporating human-machine interfaces (HMIs) to display more information in smaller spaces, while offering the flexibility to change and update that information. Remember: Upgrades, including those associated with automation, need not be complicated. Consider the fact that by simply adding sensors to provide feedback on system components, your processes could begin running autonomously, thus increasing throughput.